Type in the modpack name (Aurora Novum) or paste the following url into the search box. 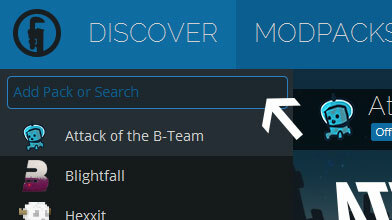 Finally, click Install at the bottom right of the launcher after you select Aurora Novum from the list on the left. The launcher will handle everything else! We're creating a new series to give us an excuse to jump into some unexplored territory in Minecraft, and to that end, we're creating a new server with an almost completely different selection of mods. High technology is out. Dungeons, monsters and magic are in.Here is a list of mods we are working on for inclusion in this series. As with our other series, we're doing this for fun-- there is no advertising and no money being charged to anyone for anything. If the pack goes public, only mods with permission will be included. Others will be linked as additional downloads. Many mod authors either did not or do not, as a matter of policy, give permission to public modpacks, especially new ones. The following mods intended for the pack must be downloaded separately, although configuration files are provided. 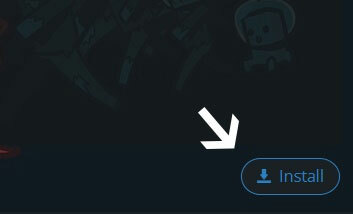 If we make our server public, you will NEED these files to connect.